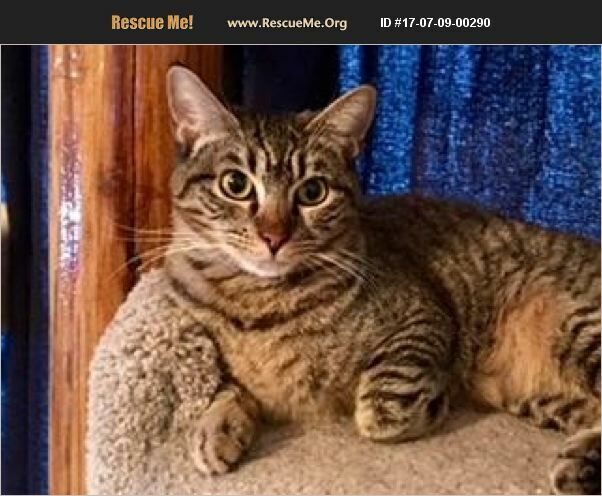 Texas Domestic Cat Rescue View other Cats for adoption. Well, hello there! My name is Shelby, and I'm a sweet, petite, affectionate gray tabby DSH gal who was born in April 2017. I'm a happy, well-adjusted kitten who just loves to cuddle with my foster meowmy. I'm pretty laid-back for my age, but I do love to play, play, play with my siblings. My feline mother gave birth to my litter while she was in a shelter. Luckily Buster's Friends got us out of there so we can look for a home to call our own. Since I love humans of all ages and get along with the other cats as well as the little dogs in my foster home, I'd fit into just about any family situation. Won't you arrange to meet me so I can cuddle in your lap? Shelby is updated on shots, spayed, dewormed, microchipped, FIV/ FeLV negative, and ready for her indoor-only home. No de-clawing permitted. Her adoption fee is $125 for kittens 9 months old and younger, cash or check payable to Buster's Friends. Please click the contact button if you are interested in Shelby, and we can let you know exactly where you can meet her. To make the process more efficient, download the adoption application at http://www.bustersfriends.org/catadoptionapplication.shtml. First save and then open it; then you can print it and fill it out.